The Vatican City State, like the other twelve member countries of the European Union (Belgi�/Belgique, Deutschland, Ellas, Espa�a, France, Ireland, Italia, Luxembourg, Nederland, �sterreich, Portugal, Suomi/Finland), Monaco and San Marino, has put into circulation the eight different Euro coins. The Vatican banknotes will not be produced. The eight denominations of Euro coins vary in size, colour and thickness according to their values, which are 1, 2, 5, 10, 20, 50 Eurocent or Eur 1 and Eur 2. One Euro is divided into 100 cent (Eurocent). specifications that make reproduction extremely difficult and easy to detect. Particular care has been taken to include unique security features on the � 1 and � 2 coins. Sophisticated bi-metal technology has been incorporated into the � 1 and � 2 coins which, together with lettering around the edge of the � 2 coin, prevents counterfeiting. You will find lettering around the edge of the � 2 coin. The euro coins incorporate the safest machine-readable characteristics and can be used in vending machines throughout the euro area, irrespective of the Member State which issued them. Luc Luycx of the Royal Belgian Mint won a European wide competition to design the euro coins; one side of each coin is common to all euro area countries, the reverse side of each coin shows individual designs relating to the respective Member State. Euro coins can be used anywhere in the euro area, regardless of their national sides. The common side of the eight coins shows one of three designs common to all 12 euro area countries showing different maps of Europe surrounded by the 12 stars of the European Union. The country specific side of the coins shows designs relating to the respective Member State, surrounded by the 12 stars of the European Union. The Numistatic Office of the Governatorate of the Vatican City State is glad to inform you that from March 1, 2002, the Vatican Euros will come into circulation. The country specific side of the Euro coins shows the profile of His Holiness John Paul II, Sovereign of the Vatican City State, on the coin sides of 1 , 2 , 5 , 10 , 20 and 50 cents and of 1 and 2 �. This portrait has been drawn by the sculptor Prof. Guido Veroi. The image has been engraved by Uliana Pernazza. 1. The Monetary Agreement between the Vatican City State and, on its behalf the Holy See and the Italian Republic, on behalf of the European Community on 29 December 2000 [AAS, Supplement, Year LXXI, No. 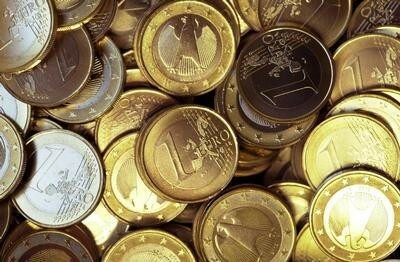 11, 5 November 2000] (considering that as a result of the introduction of the Euro it has become necessary to renogociate the current Convenzione monetaria tra la Repubblica Italiana e lo Stato della Citt� del Vaticano, concluded on 3 December 1991; following the Decision of the Council of the European Union of 31 December 1998, in which the Council laid down arrangements for negotiating and concluding the agreement concerning monetary relations with the Vatican City State), entitles the Vatican City State to issue Euro coins from 1 January 2001 for a maximum annual face value of Eur 670.000 (in addition to the maximum amount laid down, the Vatican City State may issue coins totalling Eur 201.000, when the Holy See is vacant, in each Holy Jubilee Year and in the year of the opening of a Ecumenical Council). 2. According to the Monetary Agreement No. CCCLVII of 26 July 2001 [AAS, Supplement, Year LXXII, No. 12, 26 July 2001] the Vatican City State shall be entitled to use the Euro as its official currency (in accordance with Regulations (EC) No. 1103/7 and No. 974/98). 3. The President of the Governatorate of the Vatican City State has issued the Ordinance No. CCCLXX of 18 December 2001 [AAS, Supplement, Year LXXII, No. 25, 18 December 2001] , with which the Vatican City State shall notify advance the artistic features of the national side of the Euro coins, for the year 2002. Art. 1 entitles "the production and introduction of monetary coins in Euro, for the year 2002, with the technical and artistic characteristics according to the decision of the Council of the European Union and the shared artistic features of the national side laid down in the following article 2". The Vatican Numismatic, thanks to its glorious and prestigious past with more than 1 thousand year of minting, opens itself to the future and to the hope, opens itself to the Europe of the unified coin, and participates to a great project which has become a reality. The Numismatic Office of the Governatorate of the Vatican City State proposes to the public, according to the consolidated tradition, the divisional serie of the coins of � 2 and of � 1, and those of 50, 20, 10, 5, 2 and 1 Eurocent, in the version Fior di Conio, a classical piece for collection, from 1 March 2002. Maximum amount laid down: 65.000 series. Price: � 12,00 (+ postal expenses). Minting: IPZS (Italy). From next June 2002, the divisional serie in Euro will be on sale also in the Fondo Speccio (Proof) version, with elegance presented with an exclusive Celebrative Silver Coin (The Europe, a project for peace and brotherhood). To better show the characteristics of the coins, here below you can see the images of the different models of coins used to produce the Vatican Euros, according to Art. 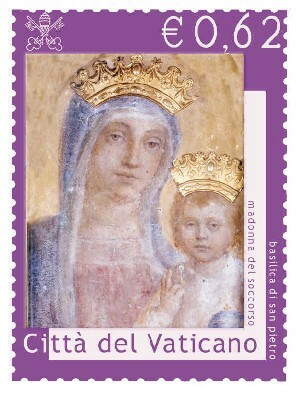 2 of the Ordinance of the President of the Governatorate of the Vatican City State, of 18 December 2001. Decision taken by the Council of the European Union on December 31, 1998, regarding the monetary relations of the Community with the Vatican City State (1999/98/CE) [Italian]. I extend a special greeting of peace and of prosperity to the Nations of the European Union that today, with a single new currency, have reached an historical goal. I very much hope that this will favour the full development of the citizens in the various countries. May justice and solidarity grow throughout Europe for the advantage of the entire human family! Rivolgo uno speciale augurio di pace e di prosperit� ai Paesi dell'Unione Europea, che oggi, con la moneta unica, raggiungono un traguardo storico. Auspico che ci� favorisca il pieno sviluppo dei cittadini dei vari Paesi. Crescano in tutta Europa la giustizia e la solidariet�, a vantaggio dell'intera famiglia umana! Dirijo particulares votos de paz e de prosperidade aos Pa�ses da Uni�o Europeia, que hoje, com a moeda �nica, atingem uma meta hist�rica. Desejo que isso favore�a o pleno desenvolvimento dos cidad�os dos v�rios Pa�ses. Cres�am em toda a Europa a justi�a e a solidariedade, em favor de toda a fam�lia humana! Expreso un especial deseo de paz y prosperidad para los pa�ses de la Uni�n europea, que hoy, con la moneda �nica, alcanzan una meta hist�rica. Espero que esto favorezca el desarrollo pleno de los ciudadanos de los diversos pa�ses. Ojal� que aumenten en toda Europa la justicia y la solidaridad, en beneficio de toda la familia humana. Einen besonderen Wunsch des Friedens und Wohlergehens richte ich an die L�nder der Europ�ischen Union, die heute mit der Einheitsw�hrung ein historisches Ziel erreicht haben. Ich hoffe, da� dies die umfassende Entwicklung der verschiedenen L�nder f�rdern wird. Gerechtigkeit und Solidarit�t m�gen in ganz Europa wachsen, zum Wohl der ganzen Menschheitsfamilie!